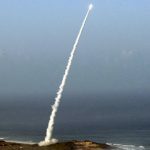 The U.S. Army‘s fiscal 2019 spending plan includes an initiative to procure a new surface-to-air missile system against defeat rockets, artillery, mortars, cruise missiles and drones, Defense News reported Friday. The service branch wants to use an Expanded Mission Area Missile in conjunction with the ground-based weapon system known as Indirect Fire Protection Capability Increment 2 currently under development to counter RAM threats. IFPC is designed to feature a multi-mission launcher that will accommodate a range of missiles, including EMAM and the AIM-9X Sidewinder weapon that the Army previously selected. The Army estimated it will spend $519.7 million to produce IFPC from through fiscal 2023 and another $51 million to integrate EMAM into the system’s launcher, the report noted. The report added the service branch performed a competitive solicitation in March of last year using special acquisition authorities and subsequently picked three companies as contenders for the EMAM contract.